Canada undoubtedly has some of the most breathtaking golf courses in the world. Located next to lakes, on islands, and beside mountains, British Columbia is home to some of the most beautiful golf courses in the country as well. Check out these stunning courses on the West Coast. 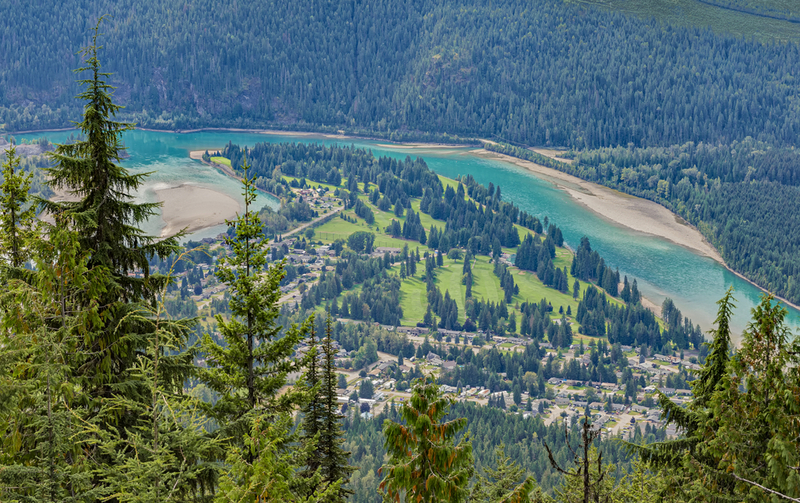 Although Revelstoke is more well-known for its ski resort, the small town in southeastern British Columbia is also home to a stunning golf course, which golfing pros have said has one of the “nicest views” in the world. Established in 1924, Revelstoke Golf Club is located on a peninsula jutting into the Columbia River. It’s surrounded by both the Monashee and Selkirk Mountains. For added convenience, eager golfers can book their tee time online through the club’s website. Predator Ridge has a lot to offer golfers: “two 18-hole championship courses, a world-class practice facility, and an award-winning golf academy.” It’s been called Canada’s best golf resort community (with over 700 homeowners), and one of North America’s best golf resorts. 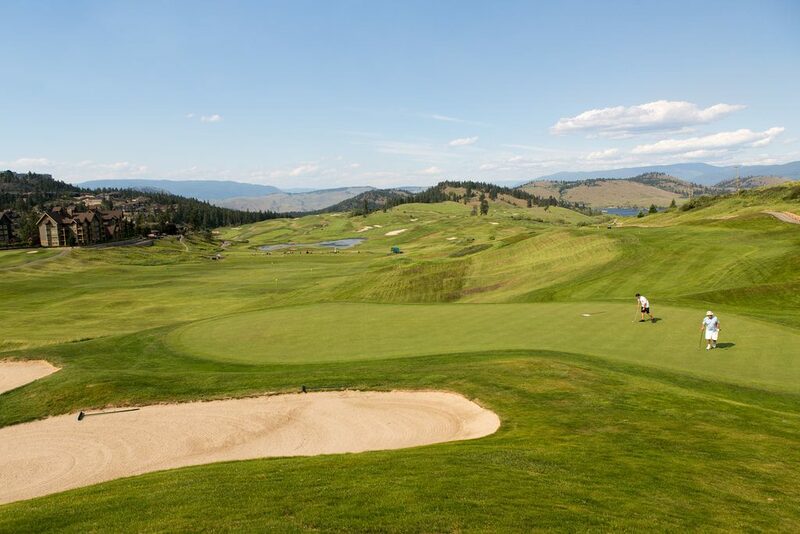 Surrounded by the hills and lake views the Okanagan is known for, tackle the Predator or the Ridge golf course (or both). The Victoria Golf Club—founded in 1893—is Canada’s oldest 18-hole golf course (in its original location), and the second oldest in North America. Its club house is even registered as a Canadian Historic Place. It’s located beside the ocean on Vancouver Island, and celebrities like Kiefer Sutherland and Alice Cooper have played a round at the premier seaside links. Since 1895, the Victoria and Seattle Golf Clubs have partaken annually in North America’s oldest international golf tournament. 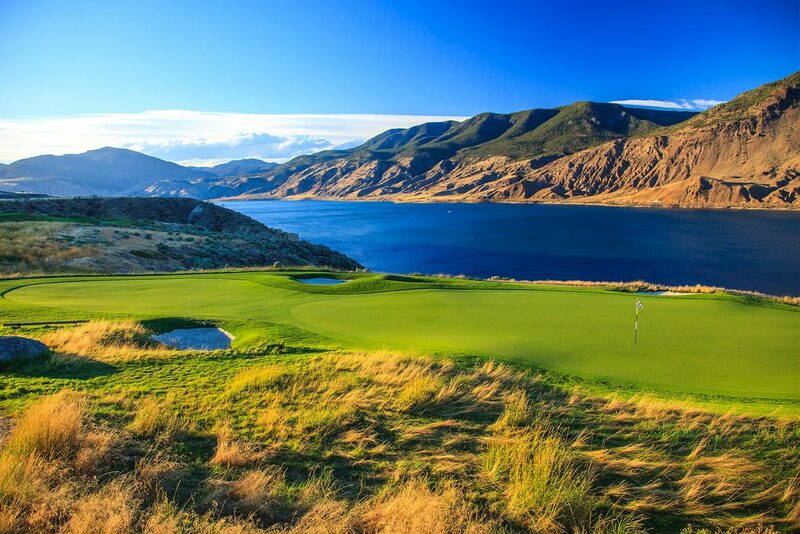 Labelled as one of Canada’s most acclaimed public golf courses, the award-winning Tobiano has it all — a challenging course, Lake Kamloop views, and breathtaking mountain scenery. It’s conveniently located close to Kamloops, and has regular promotions. For example, a deal for two people for Canada’s 150th birthday. Once the game is completed, soak up the view some more from the onsite Black Iron Restaurant. Located 35 minutes north of Vancouver on the very picturesque Sea to Sky Highway, Furry Creek Golf and Country Club believes they are British Columbia’s most scenic course. “Considered one of the most beautifully landscaped playgrounds in the province, Furry Creek delivers an unforgettable experience with its breathtaking beauty, dramatic play and first-class facilities.” Constructed in 1993, this 18-hole golf course is sure to leave you breathless in more than one way. Nicklaus North is one of four golf courses near Whistler. It is also one of only a few in the world designed by the legendary Jack Nicklaus that actually bear his name. “Snowcapped Whistler peaks. A brilliant emerald-coloured lake. Majestic fir trees. Fresh, invigorating mountain air. 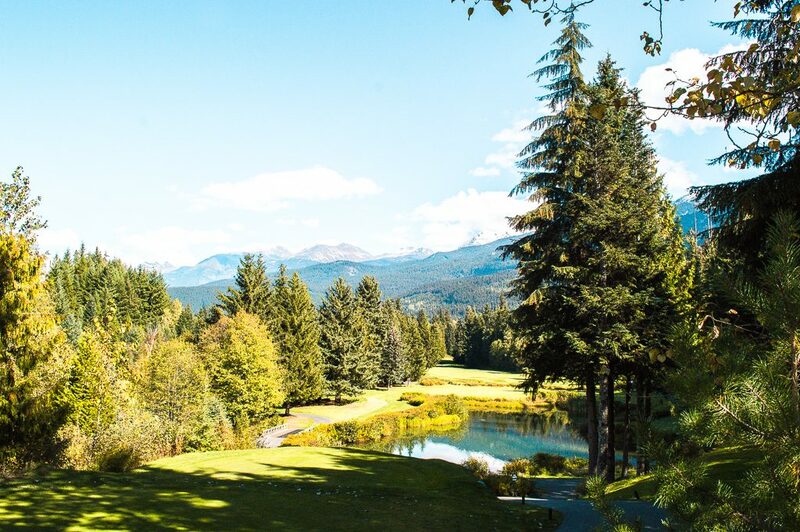 Whistler golf at its finest.” The 18-hole golf course has hosted competitions and golfing superstars like Greg Norman, and won Golf Digest’s Best Course in Canada award when it opened in 1996. Links Magazine says Fairmont Chateau Whistler Golf Club is mountain golf at its finest. “The mountain course traverses creeks, ponds, stands of ancient Douglas fir, and granite rock.” The 18-hole course is also Audubon-certified, which is about environmentally responsible golf operations. Because the golf course is part of the Fairmont Chateau Whistler, there are various golf and stay vacation packages offered, as well as unlimited golf available. 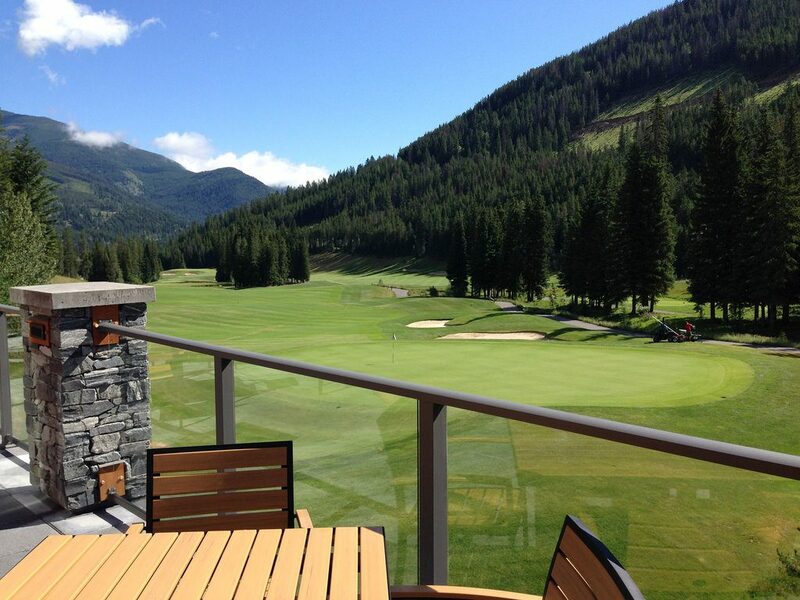 Located two hours west of Banff, Greywolf Golf Course was designed by the talented Canadian architect Doug Carrick. Its signature hole is called the Cliffhanger, and it’s been named one of the world’s best golf holes. The golf course is surrounded by the Purcell Mountains and features “hair-raising elevation changes.” Enjoy the scenery from the spacious balcony at the Cliffhanger Restaurant, which focuses on quality Canadian cuisine. Bear Mountain Resort is Canada’s only 36 holes of Nicklaus-designed golf. It is home to two unique courses. The Mountain Course is both rugged and challenging, as it makes the most of its setting atop a 335-metre (1,100ft) mountain. Meanwhile, the Valley Course is said to be more serene and “friendlier,” with fewer bunkers and spectacular Vancouver Island views. Bear Mountain Resort is also now home to Golf Canada’s only national development centre. 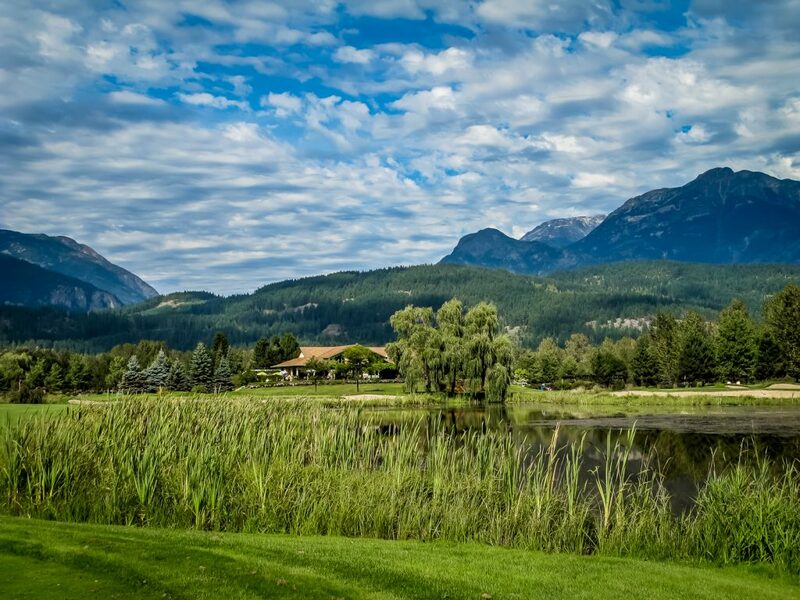 Balfour Golf and Country Club believes they are one of nature’s most scenic golf courses. The 18-hole golf course is located above Kootenay Lake in southern British Columbia, and features “well-maintained fairways and undulating greens to challenge any skill level.” Balfour Golf and Country Club also offers golf and dinner specials, as well as stay and play vacation packages.